Philips is making another investment in smart home lighting. 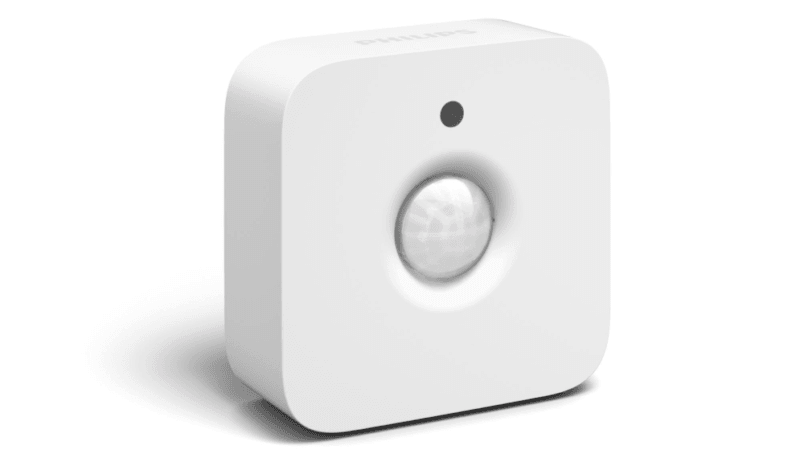 Hue owners can now buy a motion detector that will turn on connected lights around their home. Simply named the Hue motion sensor, the $40 add-on uses two AAA batteries, which Philips says last about two years(!). It affixes to surfaces using double-sided tape, so you can stick it just about anywhere. The sensor is also highly configurable. It work with the Hue app to control scenes, so you can have the sensor turn on living room lights when it senses you on the front porch. Lights can also be dimmed as you leave a room, and the sensor can turn lights off after a given amount of time. You can also choose to trigger lights only when a room is dark so you’re not wasting energy. If you manage your scenes carefully, you could walk through your home and never have to touch a phone, tablet or light switch again. If there are any downsides, it’s that a single sensor only manages up to 12 lights at once, and has a 16.5-foot detection zone. The sensor also doesn’t let you manage sensitivity, though it tells The Verge the feature may come later. It’s nice to see Philips investing in its Hue lighting, something the company says it will continue to do. For $40, automating the lighting of an entire apartment as you walk in the door is now possible — and probably a lot of fun. It also saves you the trouble of finding your own sensor and tying a bunch of workarounds together. The Philips Hue motion sensor will go on sale in October.